Streamline KPIs to craft a simpler, more effective system of performance measurement. 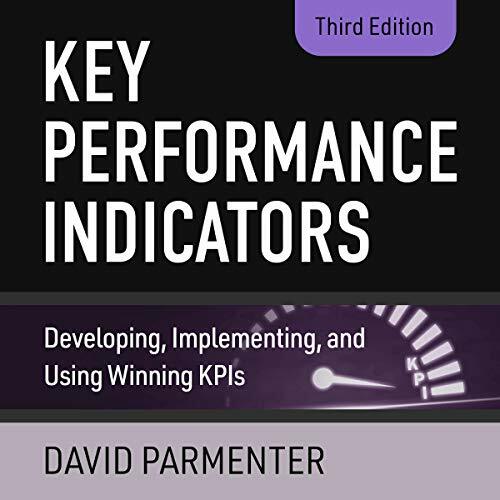 Key Performance Indicators provides an in-depth look at how KPIs can be most effectively used to assess and drive organizational performance. Now in its third edition, this best-selling guide provides a model for simplifying KPIs and avoiding the pitfalls ready to trap the unprepared organization. New information includes guidance toward defining critical success factors, project leader essentials, new tools including worksheets and questionnaires, and real-world case studies that illustrate the practical application of the strategies presented. The audiobook includes a variety of templates, checklists, and performance measures to help streamline processes. Key performance indicators are a set of measures that focus on the factors most critical to an organization's success. Most companies have too many, rendering the strategy ineffective due to overwhelming complexity. Key Performance Indicators guides listeners toward simplification, paring down to the most fundamental issues to better define and measure progress toward goals. A KPI project is a chance at a legacy - the project leader, facilitator, or coordinator savvy enough to craft a winning strategy can affect the organization for years to come. KPI projects entail some risk, but this audiobook works to minimize that risk by arming stakeholders with the tools and information they need up front. Key Performance Indicators helps leaders shape a performance measurement initiative that works.